5.Excellent heat dissipation and superior fade resistance. 6.Extended longer pad life. 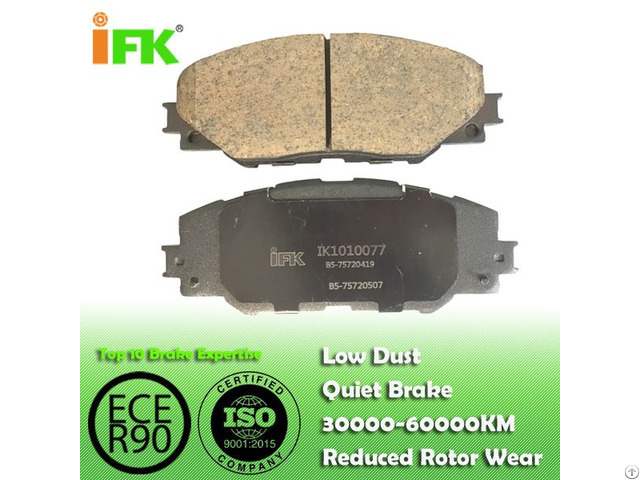 Posted By: GUANGZHOU IFK AUTO PARTS CO.,LTD. 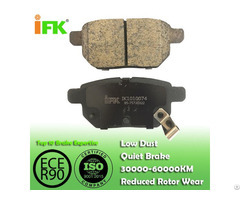 Business Description: IFK Brakes is engaged in the design, manufacturing and supplying premium friction products, including disc brake pads and brake shoes, providing a complete range of premium quality for all makes and models of passenger and commercial vehicles. 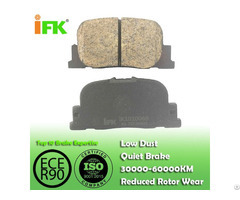 Designed with the highest standards for quality, IFK' Disc Brake pads deliver ultimate braking performance, superior vehicle control and exceptional and consistent brake pedal feel. 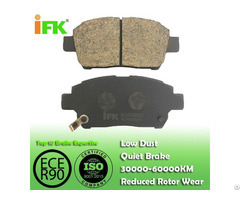 With the factory area of 5000 square meters and the annual production capacity of 1,200,000 sets, IFK has entered the domestic and overseas markets as brake experts. All of IFK's operations have secured appropriate ISO/TS16949 and ISO/ 9001:2008certifications, and has received a number of quality and performance awards from customers as well as the ECE-R90 certificates.